New Year Wishes For Colleagues : All year round you work with your colleagues, boss or clients and during this time there is buildup a bond between both of yours. Surely there is a relation like friendship or many more for working together at same office. Happy New year is the best opportunity to spread good cheer and warmth wishes, also the starting of a business new year to wish and build better relations with office colleagues, boss, business clients or partners. 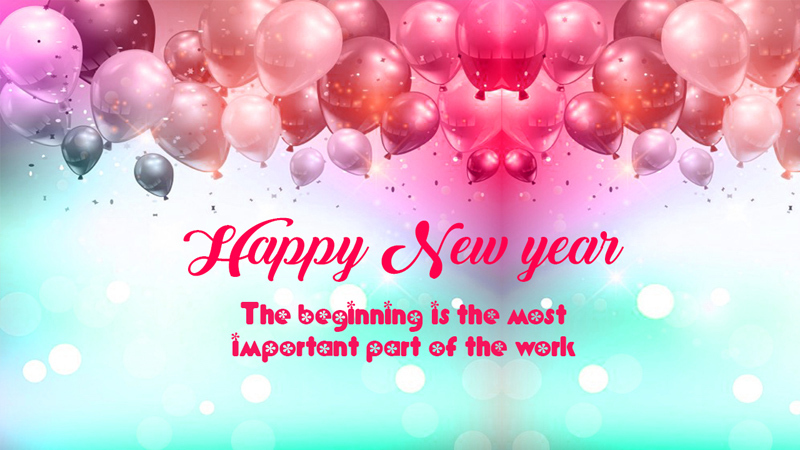 At this stage we are going to share with you some of the best happy new year messages for colleagues and boss which you can use to wish them at this new year. 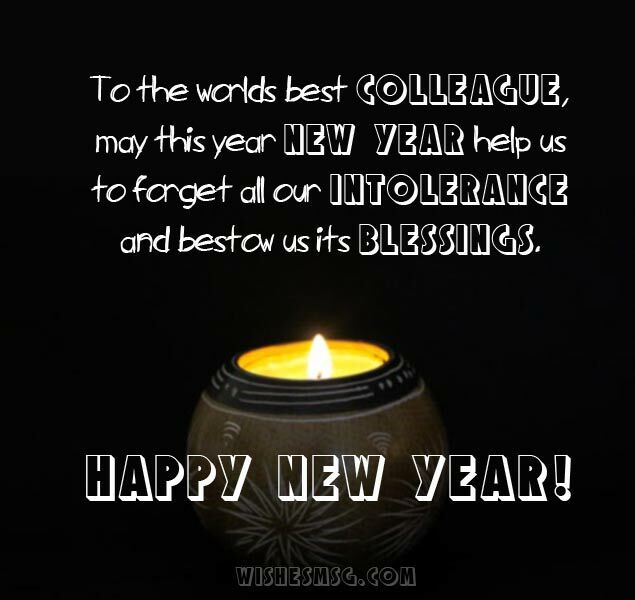 Let inspire your coworkers and boss by sharing best happy new year wishes messages for colleagues and boss to wish them a very best happy new year. Happy new year to the most wonderful colleagues in this world. You are always the inspiration behind my every achievement at work! May this new lift you up to the highest point of success. May you see the peak of your personal and professional life this year! This new year will bring all the success that you desire for. May all your goals be achieved and your purposes be fulfilled! Its time to say goodbye to the old one. Let’s welcome the new year with hearts full of positivity and new hopes. Happy new year! We are the passenger of the same boat that’s heading towards a common destination. May the hopes of new year guide us in the right direction! Every day spent with you guys at office is full of fun, joy and learning of new things for me. I wish to be with you in the new year and in many more years to come! I fell in love with my office. But even before that, I fell in love with you. This love will only grow stronger as years come and go. Happy new year! You have been a strong example for people at work but this New Year will put on you a greater responsibility to lead people by your standards and impart higher values to improve the work atmosphere. Happy New Year! Look forward to another new year with hunger and passion to exceed at work and you are sure to meet with success. Have a wonderful new year! For the new year we wish that you will achieve all your personal and professional goals. Happy new year! You will be thrown stones at every step you take to climb the ladder of success but it will be up to show the capability you have to turn those stones into milestones. Happy New Year! Work with the best of your abilities for new year and show to the world you power to create wonderful and superior things. Happy new year! A year with a lot of work and effort is behind us. The business results achieved testify to the fact that the effort has paid off. Thank you very much for this great work. We wish a roaring Happy New Year! Never aim for less for you can achieve the best. 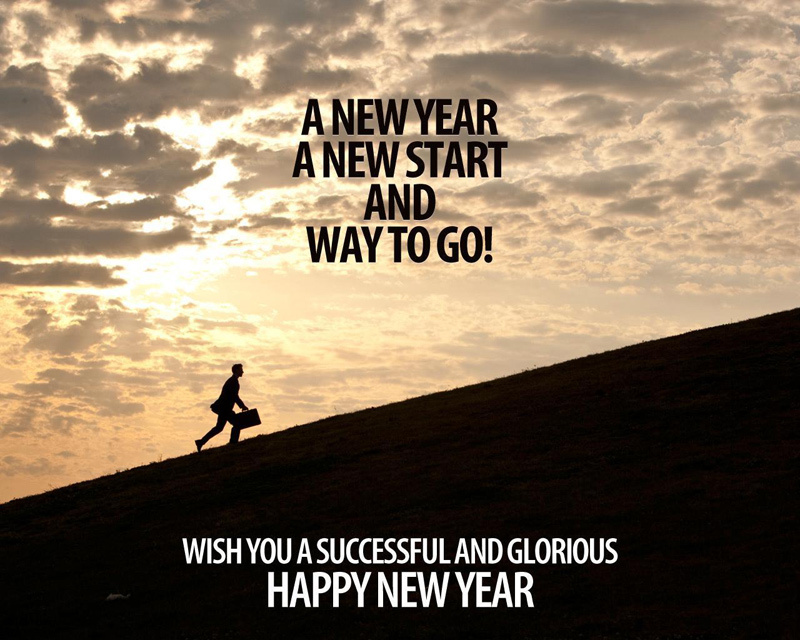 May you work hard to achieve the goals and make the new year a milestone in your career. Wishing you Happy New Year. Rock it! You have the guiding ability of a great leader and the commanding ability of a powerful boss. Working with you is a pleasure. Happy new year! You deserve every success in the business. You vision and determination will always lead us to the ultimate success. Happy new Year, Boss! You are the power source of this team. You always equip us with motivation and strength to go forward and meet the deadlines. Thanks for your support, boss! Happy New Year! It’s nice to work for someone who knows the secret to being a good manager, being a good person. You Are My Greatest Boss. Happy New Year Dear Sir. You have given us not only the opportunity to work and earn for our families, but also the gift of friendship. 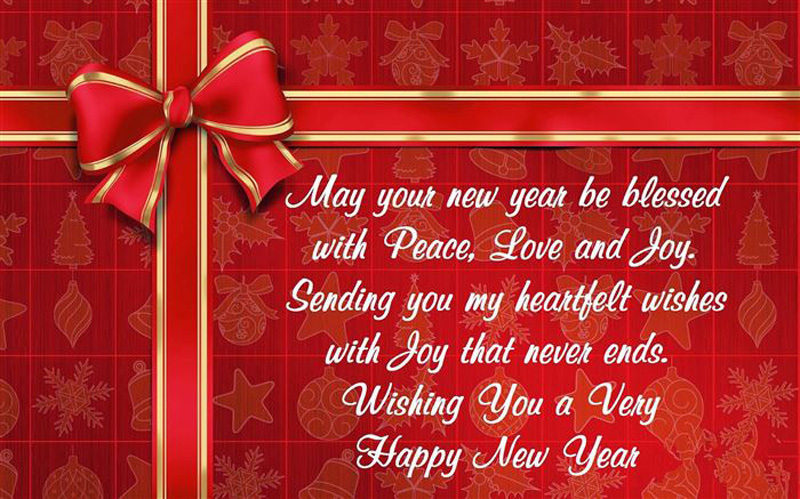 I am wishing you all the best this New Year! May the Lord bless you. May God bless you with the strength that carry on for several more years with the same courage, wisdom and mental well-being that you have shown till date. I would like to start this year by thanking you for all the opportunities you have offered me. I would not be here if not because of you. Thank you Boss. Have a blessed New Year! Another year is soon to come, another batch of obstacles this team will have to face, but we do not worry at all. Because you are a good leader, and we trust in you. Happy New Year to you and your family, boss! I admire the way you handle the problems in our department. I just can’t imagine how great you are as a father in your own family. Happy New Year to you! I would like to take this opportunity to thank you for everything you have taught me. I owe you a lot and I wish you all the best Boss for this coming year. Your dedication to your work, is inspirational for all your employees. May this new year, you get to inspire us even more. You are truly an asset to this company. Your motivation is that gets us motivated. Thank you for the year’s full of purpose. Happy New Year, Sir! I wish you good health so that you will continue to be present in the office and see how your people work. 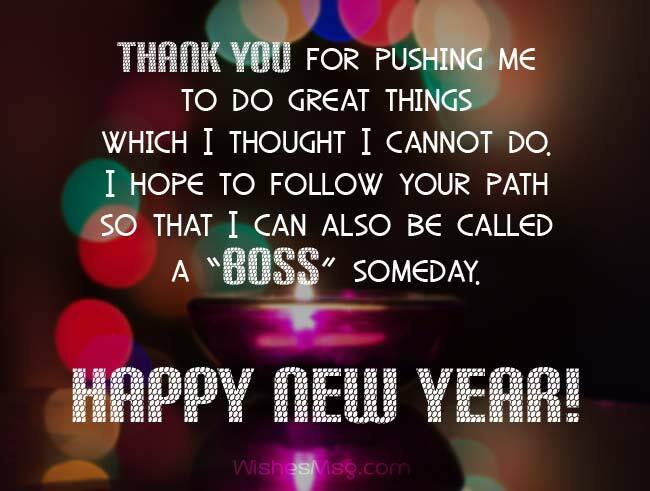 Happy New Year Dear Boss! New Year brings new hope for all of us. I am so hopeful that we will have a better working relationship from this day onward. Happy New Year Boss! 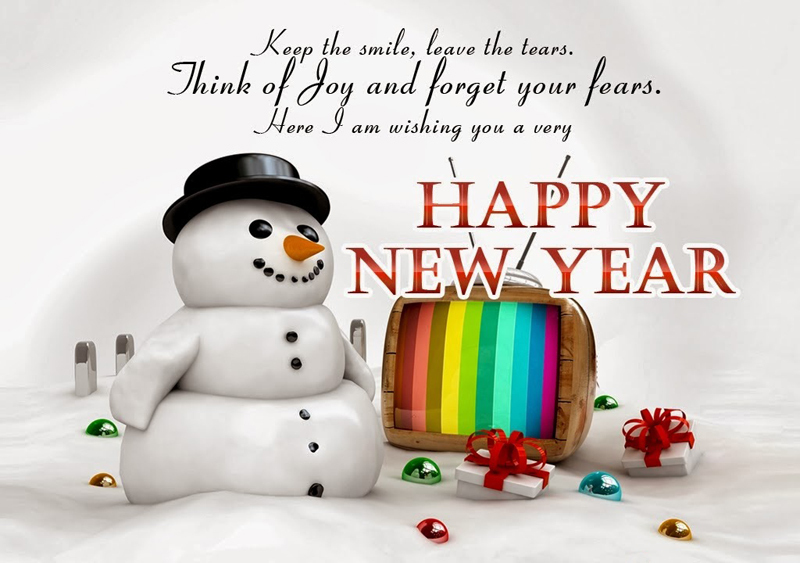 Dear, you may send this happy new year messages for colleagues and boss by email or any kind of social media either you can use these new year wishes in a card or note. Surely these messages will give inspiration to your colleagues and boss with your thoughts.